Artists often create in solitude, so it is not uncommon for these lonely souls to seek the company of other creative minds for encouragement, comfort and inspiration. For instance, author and lexicographer Samuel Johnson, portraitist Joshua Reynolds, historian Edward Gibbon, novelist Oliver Goldsmith and other 18th Century literary elite comprised “The Club,” assembling regularly for spirits and spirited conversation in London salons. Similarly in the 1930s, the “Inklings” of Oxford, England, gathered in a cozy pub where, amid swirling pipe smoke and raucous laughter, scholars such as J.R.R. Tolkien, C.S. Lewis and Charles Williams read their as-yet unpublished works, welcoming constructive scrutiny. Meeting informally at a rural retreat for four days annually, membership, though varying, caps at twenty. 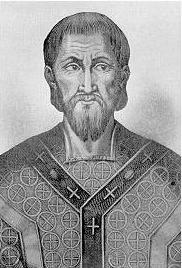 Organized in its early stages by Richard Foster, the Chrysostom Society’s roster includes Larry Woiwode, Calvin Miller, Eugene Peterson, Robert Siegel, Madeleine L’Engle, Stephen Lawhead, Harold Fickett, Diane Glancy, Jeanne Murray Walker, Phil Keaggy, Karen Mains and Gregory Wolfe. In addition to enjoying the refreshing pleasures of personal camaraderie, the Society occasionally collaborates on a manuscript. Their first work, Carnage at Christhaven (1989), is a comedic mystery based on a unique concept devised by the Detection Club of London, a coterie of crime novelists such as G.K. Chesteron, Agatha Christie, John Dickson Carr and others. For the Club’s corporate novel, The Floating Admiral (1931), participants each contributed a chapter, round-robin style. Using this method for other publications, the Society then produced Once Upon a Christmas, a slim volume graced with colorful illustrations, assembling thoughtful seasonal memories interspersed with poems by Luci Shaw. 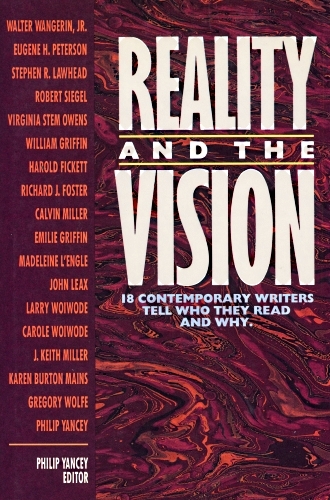 In Reality and the Vision (1990), edited by Philip Yancey, the Society reflects on writers who influenced their own visions of the human condition: Walter Wangerin on Hans Christian Anderson; Larry Woiwode on Leo Tolstoy; John Leax on Thomas Merton, etc. The Swifty Tilting Worlds of Madeleine L’Engle (1998), edited by Luci Shaw, collects essays from members and other friends celebrating the 80th birthday of the beloved novelist. Among the Chrysostom Society, Wheaton College Special Collections possesses the papers of Luci Shaw, Madeleine L’Engle, Calvin Miller, Karen and David Mains and Robert Siegel.